Major shift in media consumption patterns expected – what is your belief? 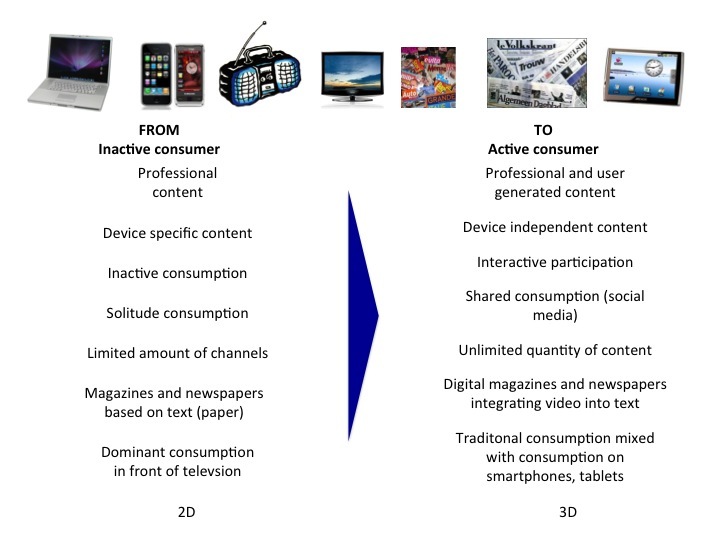 In the media sector executives are wondering how and more importantly how fast consumption patterns change. This change is driven by fixed and mobile broadband availability. The availability of broadband will have implications for media consumption patterns. In my view we are moving away from inactive consumer towards a more and more active consumer. The major behavioral changes are explained in the figure below. Of course the big question is how fast this change will happen and how existing and new players can make money. This requires a thorough strategic analysis for each individual player. It will be an exciting period as existing competitive positions will erode and new business opportunities will arise. We are at the beginning of the next big wave of innovation and growth. This growth will be driven by the availability of ubiquitous broadband (both mobile and fixed) for a reasonable price. 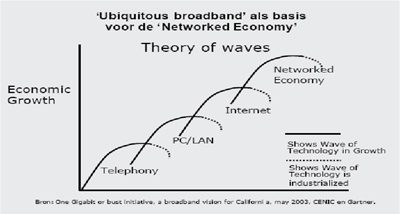 The graph below illustrates that earlier waves led to a significant growth accelaration (as correctly identified in the California broadband vision). The earlier waves (telephony, PC/LAN, internet) have led to various process and product innovations. In the next wave of the networked economy, it will be no different, various business opportunities will arise. The country, region in which the right conditions are created at an early stage will get a head start in capturing and monetizing these opportunities. * An integral view on infrastructure and services development. * A specific program that facilitates cooperation and knowledge sharing between academic institutions, large companies, small / medium enterprises and government entities (see previous post). If you would like to know more on how to set up such a program or how to get to an integral view on infrastructure and services, please do not hesitate to contact me or follow my blog. 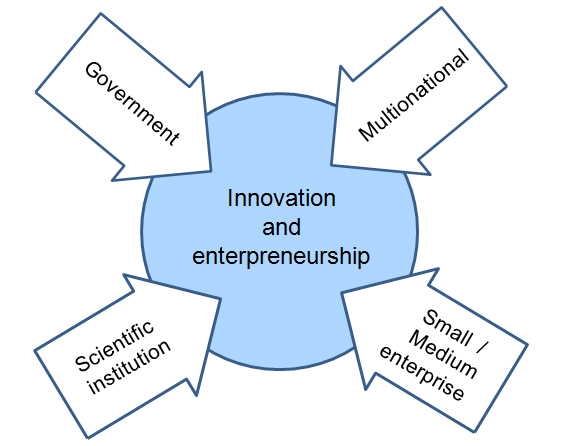 In several newspapers I have read that innovation and entrepreneurship is the way out of the current crisis. I agree, and therefore I would like to plea for governments to create the right conditions. Innovation is not something a company can do on its own, except for some multi-billion companies. In order to innovate and survive it is necessary to create an open environment and to facilitate cooperation between various entities. This process can be facilitated with high speed fiber connections allowing for sharing, building, exploring business opportunities. The most important differences from current connection methods are speed (from max 20 MB/s to max 1 GB/s) and synchronisation (from fast downstream, slow upstream to downstream = upstream). The government can decide to set up an incubator to kickstart innovation in a cluster once the conditions are established. This will initiate, facilitate and accelerate the innovation within the region and thus create wealth.